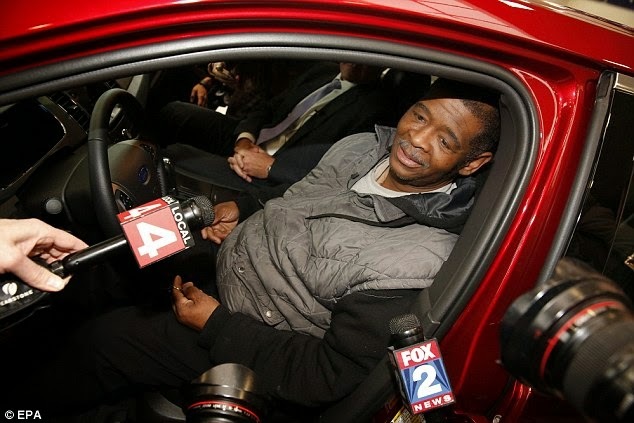 James Robertson, a factory worker from Detroit, Michigan, who walks 21 miles to work everyday finally is given a brand new Ford by well-wisher moved by his story. He walked 31 miles to his workplace everyday for almost decade. His story changed after The Detroit Free Press wrote about the hard life of him. The newspaper said Robertson takes buses to work, but has to walk more than 20 miles by foot because no buses cover his route. He starts his activity at 8 am. for his 2 pm -10 pm. shift, and does not get home until 4 am. A student from Wayne State University launched a campaign and collected $5.000, and a local car dealership also donated a Ford Taurus. As he went emotional, he said, “I don’t like it, I love it,” behind his new 2015 red Ford Taurus. “If only my parents could see me now,” he added. Total of collected donation reached $350.000 including the car. No response yet to "Factory Worker who Walks 21 Miles to Work Everyday Gets a Brand New Ford"